i probably ran out of space on the site there, i can check when i'm out from camp on tuesday, 14th. Hey man would you have a service manual for a 2000 Warrior YMF350X?? Please and Thank you! Looking for a Bruin 350 owners manual. Not an aficionado but I think this model was only produced for a couple of years 04/06. Cant seem to find one anywhere. Would greatly appreciate any assistance. Thanks for the welcome post, if you could send me the Bruin250 that would be great! check out post #3 here. you can download it there. 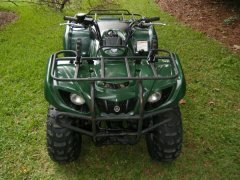 Need service manual for 2005 Kodiak 450 please. 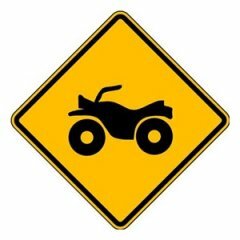 2005 Yamaha Kodiak 450 please. Probably a silly question but is this the same service manual for a 1994 Yamaha Kodiak YFM 4x4? Just making sure as I'm not sure if this model came without 4x4. "1993 - 2005 Yamaha Kodiak YFM 400 Service Manual.pdf"
Hi there, I am looking for a service manual for 2004 350 Bruin. YFM35FAS. I have a charging issue, trying to find specs on ohm readings from stator.